Locking chest holds letter-size or legal-size hanging file folders. Design includes double combination locks and handles on sides for easy carrying. 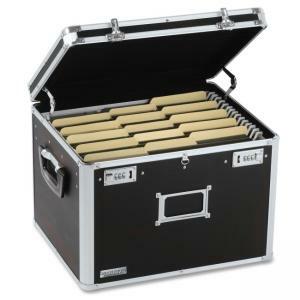 Interior dimensions of locking chest are 14-1/4" wide x 12-1/4" deep x 11-3/8" high.